I wrote this quite a few years ago, but is still a relevant topic. 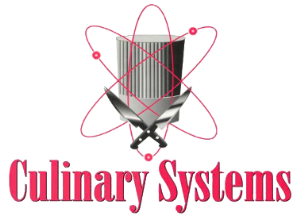 We have been tracking master chefs and their menus here in the US and across Europe for over ten years now, and produce a publication called Menu Innovator®. We study ten different cuisines: French, Italian, Asian, Latin, Eclectic, New American, Contemporary Southern, Seafood, Steakhouse and Mediterranean. One constant in all menus is that they all have multiple options devoted to beef. Not necessarily steak, but beef prepared in unique ways, like roasted beef salad with pecans, or short rib ravioli and the sweet and spicy beef in masaman curry. Beef continues to tantalize across all cuisines and all menu categories. We continue to devour our burgers and steaks in large numbers with seemingly ever-increasing options of new cuts, and new ways to prepare the most basic of foods. Our love affair with a great steak or burger will never cease. Beef is quintessential, hearty, and primeval; it reminds us that we are still at the top of the food chain. In placing beef in all its forms on national chain menus, we need look no further than simple preparations with a twist. A New York strip rubbed with garlic, grilled and topped with balsamic caramelized onions takes a standard issue and envelopes it with the romantic imagery of Tuscany. A filet mignon topped with a wild mushroom demi glace is a timeless classic, which easily spans fine dining to casual. Skewers of beef marinated in a classic mole sauce, or a “Ropa Vieja,” which is nothing more than a Cuban style beef barbecue, both showcase beef’s important place on the menus of all cuisines and in the minds of all cultures. So ignore the nay-sayers, step in line with the protein dieting masses, and enjoy some beef – “it’s alive and well”!